College can be costly and stressful. For as many perks and peaks as there are, it does have its fair share of stress. With bulks of work and the frequent demands to prepare for the future, balancing your life in and out of school can be a tough task. 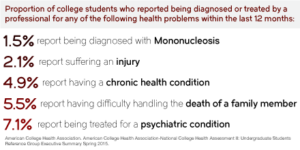 Sometimes students’ overdo it to the point where you get ill with the flu, mono, depression or any other school and stress related side effect that you can think of.In fact, college students have many unique illnesses that may force a student to withdraw from school. 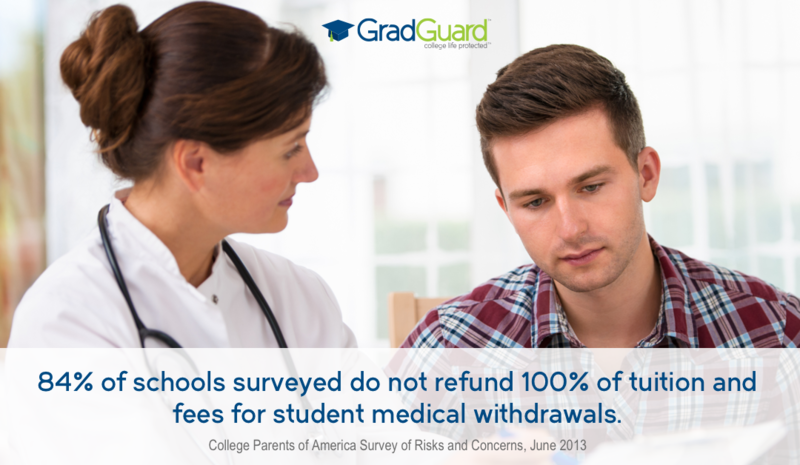 Most times, you will not be refunded the thousands of dollars you are paying for college. 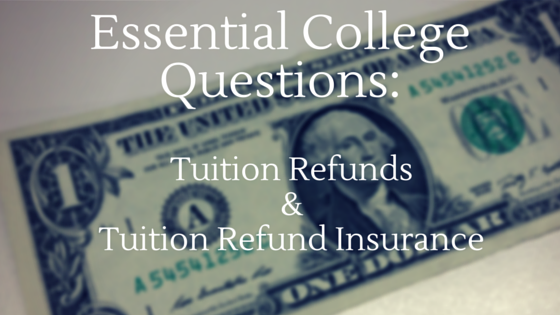 Though universities often refund a portion of your tuition thru the first weeks of school you can safely assume that none of your tuition will be refunded after the 5th week of classes and that your academic fees will also not be eligible for a refund. A 2015 survey of university bursars and health administrators confirmed that 84% of institutions do not provide a 100% refund. When you think many families investment more than $30,000 a year in college tuition it makes tuition insurance a smart buy. 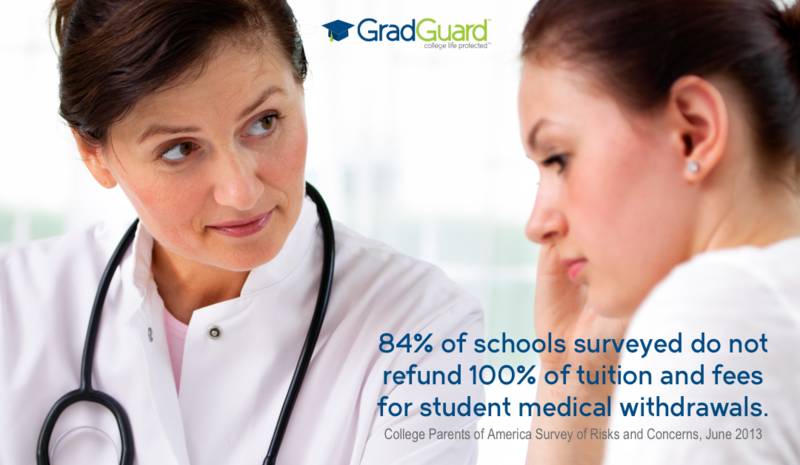 GradGuard offers tuition insurance starting at $29.95 for $2,500 of coverage but typically is about $135 for every $10,000 of coverage you need. GradGuard also offers special pricing and coverage options at more than 100 colleges and universities. 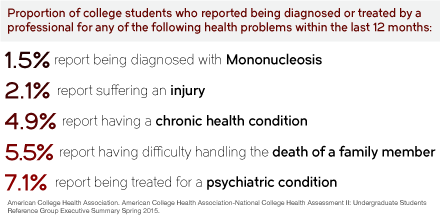 Schools that integrate tuition insurance within the billing process can often save students money on the coverage.